As yet, there is no official participation from office Surface support. I’m wondering how many people are afflicted with this issue. If you are experiencing this, please post in the thread above and also tweet @barbbowman. 3. 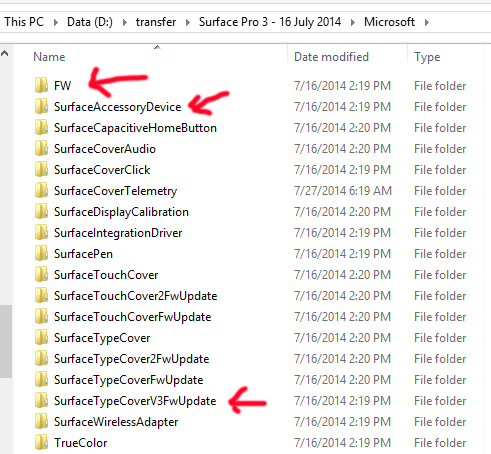 Go to http://www.microsoft.com/en-us/download/details.aspx?id=38826 and download Surface Pro 3 – 16 July 2014.zip (168.0 MB) . You will need to scroll the list to find it. Microsoft has released a “bleeding edge” Surface Pro 3 designed to replace both a laptop and a tablet. Early reviews are mostly positive. A few negatives are emerging, including an incompatibility between Connected Standby and Hyper-V. While Connected Standby has been a feature of phones and devices like the Nokia Lumia 2520 RT tablet, this is the first time this technology has appeared in an Intel non Atom x86 device. The Surface Pro 3 is the only Surface “Pro” device that supports Connected Standby. Surface Pro (original) and Surface Pro 2 do not support this power management protocol. For Windows Phone developers who wish to use Visual Studio 2013 with the phone emulator, this might be problematic as the emulator uses the Hyper-V functionality. If you install Visual Studio 2013, Connected Standby is no longer operational. Developers who install Visual Studio 2013 may notice that after installing VS 2013 that their Surface Pro is no longer performing in the same manner with respect to power management and resume from sleep and that Connected Standby no longer works. 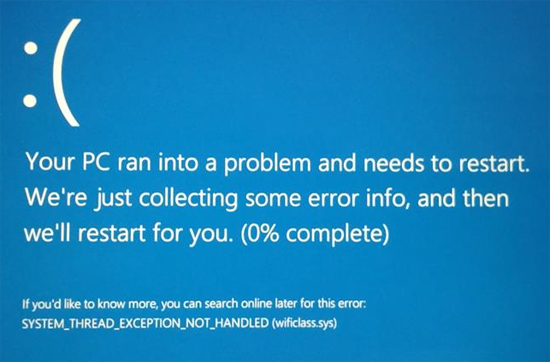 Bottom line: this occurs because Connected Standby is not supported on a system running Hyper-V virtualization. A current work-around to restore Connected Standby functionality is to use BCDEDIT to turn Hyper-V off when not needed and on again when you need to use the VS 2013 emulator to test Windows Phone Applications. If you are not developing phone apps, you can turn Hyper-V off and leave it off. As you can see in the screen capture below, Standby (Connected) is NOT supported. 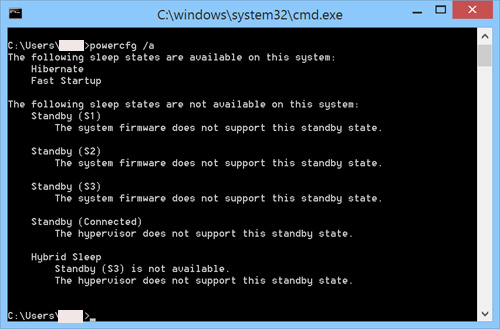 (The entry" The hypervisor does not support this standby state" indicates that Hyper-V is active and the Connected Standby is not available). 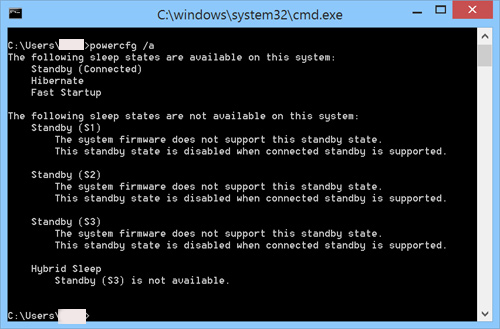 As you can see, Standby (Connected) is now available which is the default configuration for Surface Pro 3. When you need to enable Hyper-V, you can easily make it active again. After restarting, Hyper-V will again be active (and Connected Standby will no longer function). You will be able to use the Phone Emulator in Visual Studio 2013.